I recently discovered Plant Nite, which is like Paint Nite's sister. 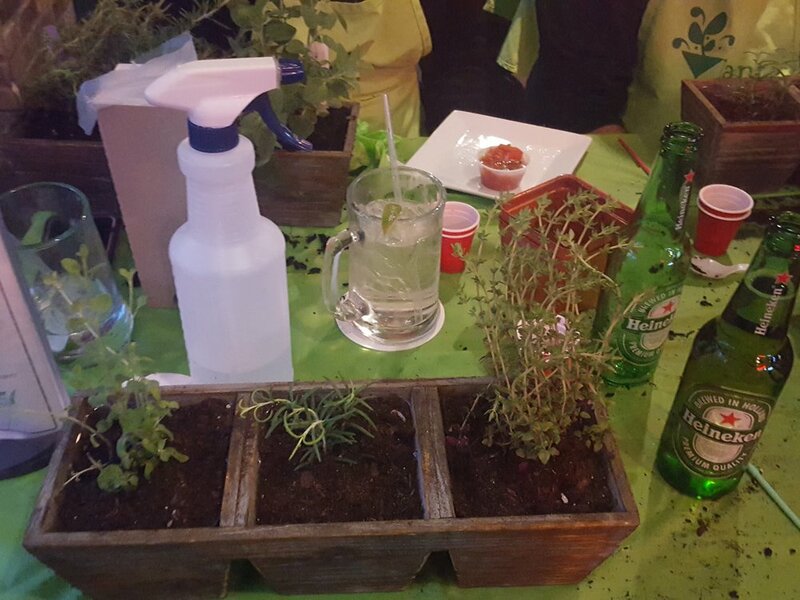 Instead of painting and sipping, you get to sip and plant a cute little arrangement of flowers, succulents, cacti, and/or other green stuff. There's such a huge selection of containers to choose from, like wooden boxes and drawers or glass bowls and hanging globes. Once you know what type of plant you want to bring home, choose an event. This also gives you a chance to try that restaurant that you've been eyeing for months. And if you can't find the perfect event, you can also book a private event, which is great because you'd get to choose the exact plant and venue that your group wants. Sounds like a fun #GirlsNightIn! While all of the other plant events looked like tons of fun, I wanted something useful because I don't need another plant just sitting on my desk at work. 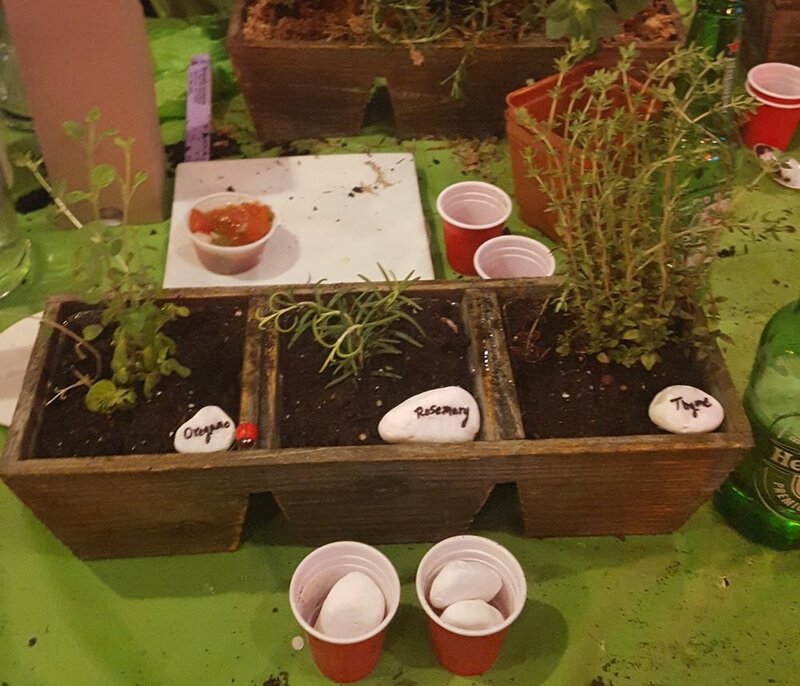 So I chose the Herb Garden in Wooden Drawer event over at Rockwell's Restaurant. There were quite a few herbs to choose from, and of course, I selected the herbs I would probably use most. Mint, oregano, rosemary, and thyme! Hence, my little herb garden in the picture above. This was definitely right up my ally since I'm a pretty decent gardener. Can you sense the sarcasm? Surprisingly, I managed not to kill my herb garden within a week. It actually lasted me several months. Mint grows so fast and in such an abundance. I had fresh mint leaves for my hot tea every night... and maybe a few mojitos. I used the thyme to season my salmon for #SundayDinner. And my basil didn't last long, but I did get a chance to make an awesome pesto sauce. Find an event near you and get together with your girls! Share your #PlantNite events with me by using the #OSFL hashtag.